While most of us know to turn the sink off when we aren’t using it to conserve water, many are unaware that kitchen and bathroom sink aerators are an essential factor in conserving water and energy. Bathroom and kitchen tap aerators restrict water flow in order to ensure that only the water you need is flowing from your sink faucet. 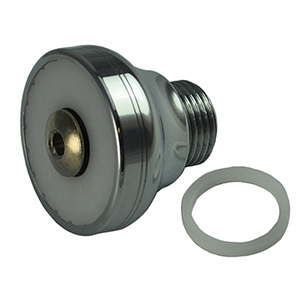 Our selection of Chicago faucet parts offers only quality aerators and vacuum breakers for your sink. 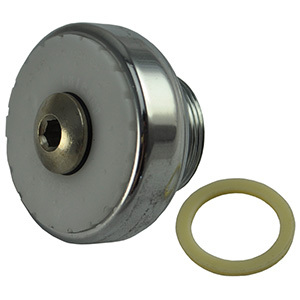 Although sink faucet aerator assembly may seem like a difficult task to take on by yourself, our collection of products makes it super easy to find the exact parts you need to fix your faucet. 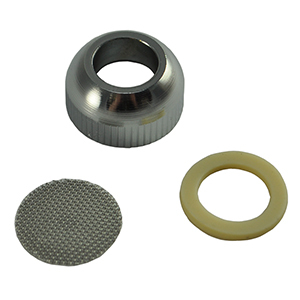 Full line of Genuine OEM Chicago Faucets Aerators for kitchen and bathroom sink faucets. 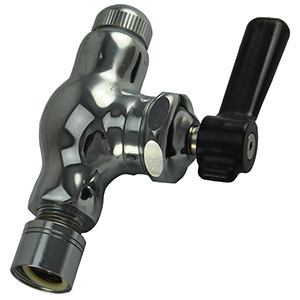 Genuine Chicago Faucets Low-Flow Aerators reduce the amount of used water on kitchen and bathroom faucets. 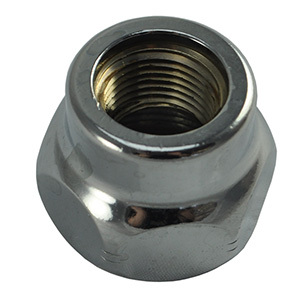 Find Chicago Faucets spout ends and outlets for all types of kitchen and bathroom sink faucets. 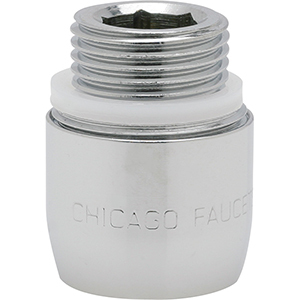 Find Chicago Faucets spout adapters for all types of interchangable connections.